Zeefoods started by offering delicious falooda kulfi during the Festival of India held every year in Fremont, California. In the past 13 years we have grown to offer more than 15 varieties of Indian ice creams and kulfi including Kulficream, Kulfipop and Kulfibar. 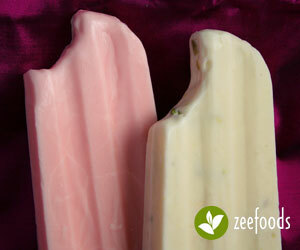 Try our best selling Kulfipop in Malai, Pista and Kesar Pista flavors. Zeefoods is located in Fremont, California. We manufacture our ice cream and kulfi right here in Fremont and distribute to major Indian stores in the Bay Area. We are also wholesale distributors of Desi Paneer distributor for Mampster brand Pani Puri and Papri. Our products are available all over the Bay Area and as far as Sacramento, Yuba City, Tracy and Fresno areas. We strive to provide our customers with exquisite taste and quality. We use the highest quality ingredients to achieve the best possible results.